As I got older, it became clear that the more I embraced the qualities that made me different, the more successful I was. And, the more I learned about marketing, the more I realized the same was true for it. Brands stand out when they showcase the qualities that make them different. So... who better to help your brand stand out then someone who has stood out her whole life? Today, my team and I help family brands build a digital presence that cuts through the noise and differentiates them from their competitors. We identify a brand’s distinct core values, compelling stories, and distinguishing elements to attract and deeply connect with their target audience. We dive in to understand your brand on a cellular level, and then put words and images to the intangible parts of your brand, consistently evoking powerful emotions that lead to brand loyalty and lifelong customers. It makes for marketing that’s unforgettable and truly unique. And we’d love to help you too! Ashley has a Masters in Communication Management from the University of Southern California with an emphasis on digital marketing, social media, and community management. She has over 10 years of experience working in marketing and communications, starting as a communications specialist for Santa Clara County Board Supervisor, Liz Kniss, then moving to Southern California where she worked at O’Rorke Communications in Beverly Hills and Davis Elen Advertising in downtown Los Angeles. 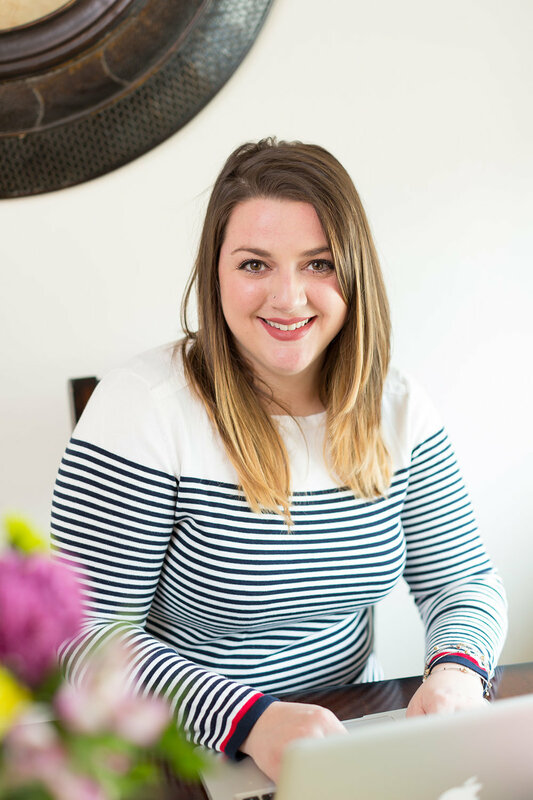 In addition to running Lula Marketing, Ashley is regularly asked to contribute her expertise to courses, summits, and seminars on digital marketing topics. As soon as we begin working with a client we discuss current business goals and objectives, as well as the specific metrics we will measure to best reflect how our marketing efforts are assisting in reaching those goals. Although we work remotely, we fully integrate and become your in-house marketing team. We stay in constant communication and are able to use any team management system you’re already using (such as Asana, Slack, and Trello). All of our staff members either have families of their own, or come from big, close-knit families. Because of our close connection with family-centric households, we are able to tap into the hearts and minds of your consumers with ease, making for compelling marketing campaigns that work. As seasoned marketers, we pride ourselves on being able to quickly and accurately replicate the voice and tone of your brand. We treat every business as if it were our own. We understand the effort that goes into building a reputable brand, and work hard to ensure that we are accurately and appropriately representing it in our marketing. The world of social media and digital marketing is constantly changing - and occasionally those changes disrupt the marketing strategies we have in place. When that happens, we’re fully transparent and bring those concerns, along with solutions, quickly. Because we only work with clients whose missions we believe in.